Salon Perfect has a really fun (and comprehensive) Fourth of July collection out now called Paint the Town Red, White and Blue, and it includes a bunch of glitter toppers plus base colors designed to match. 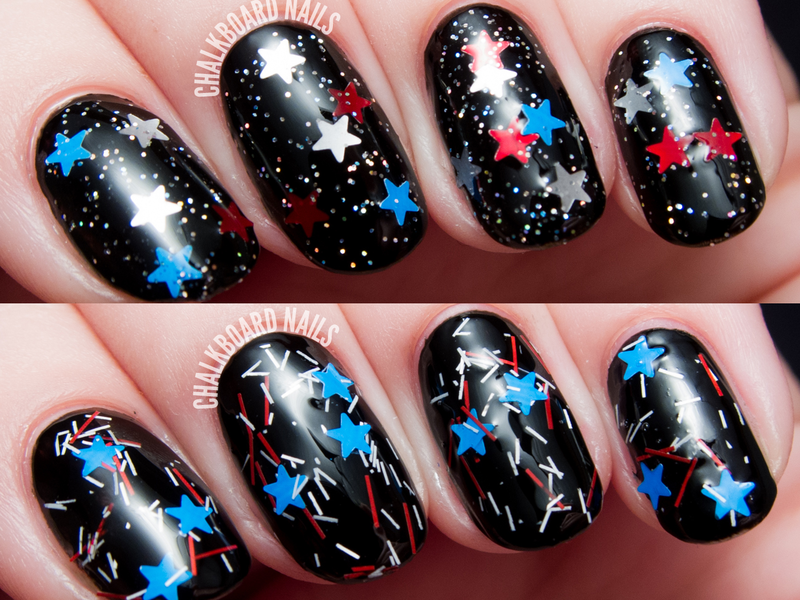 Two of the glitters in the collection feature star shapes, and they're perfect for a patriotic mani in a flash. 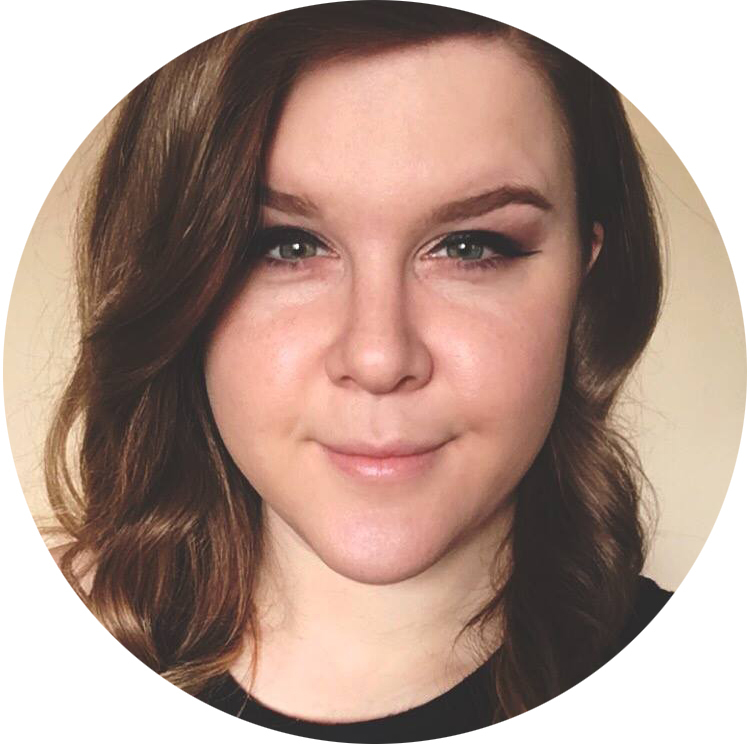 Keep reading for the details as well as a quick preview of some of the other shades in the collection! 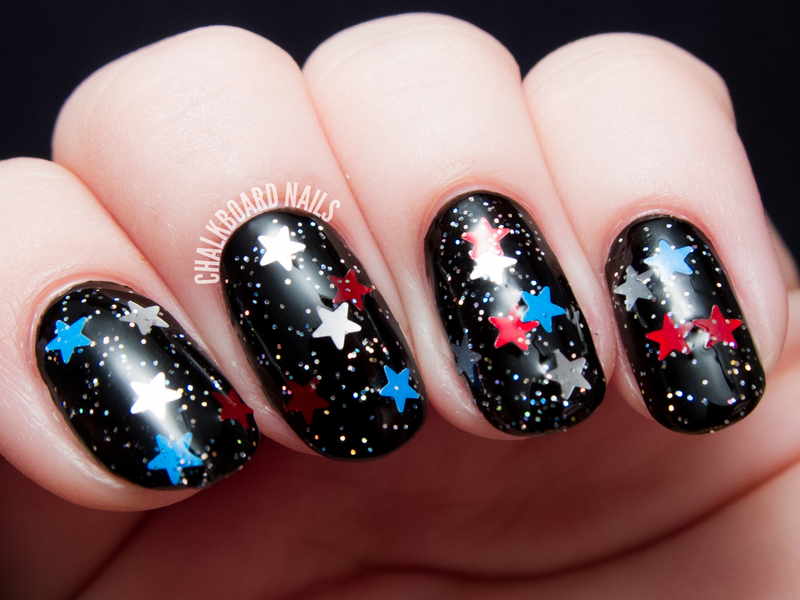 Star Spangled is a clear glitter topper with silver holographic glitters, plus red, blue, and satin silver stars. I layered it over black to show off the holographic glitters. Doesn't this combo look like fireworks in the night sky? One coat shown. Only a little bit of fishing was required to get the stars out of the bottle. 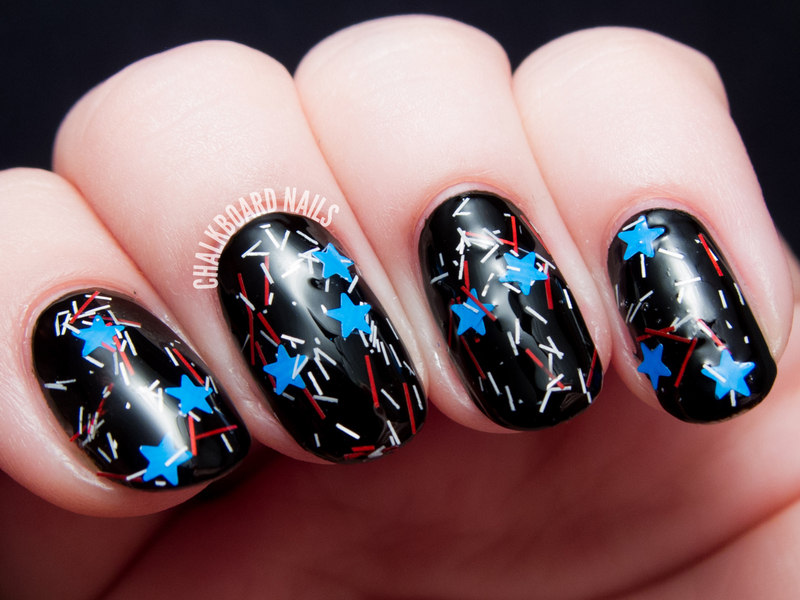 Starred & Striped features matte red and white bar glitters and matte blue stars. It's like a deconstructed American flag! Lots of fun. I had a little more trouble getting stars out on this one, but overall still not too bad! Star Spangled, Grand Finale, Blue Ribbon, and Boom Boom Boom are the standout shades, in my opinion. The Salon Perfect Paint the Town Red, White & Blue collection is available now as part of a limited edition promotional display at select Walmart stores nationwide. Polish, pens and tools retail for $3.98 each and Nail Art Liners, Decals and Striping Tape retail for $1.98 each. What fun glitters! Love the nail art you did with them too. These look great! 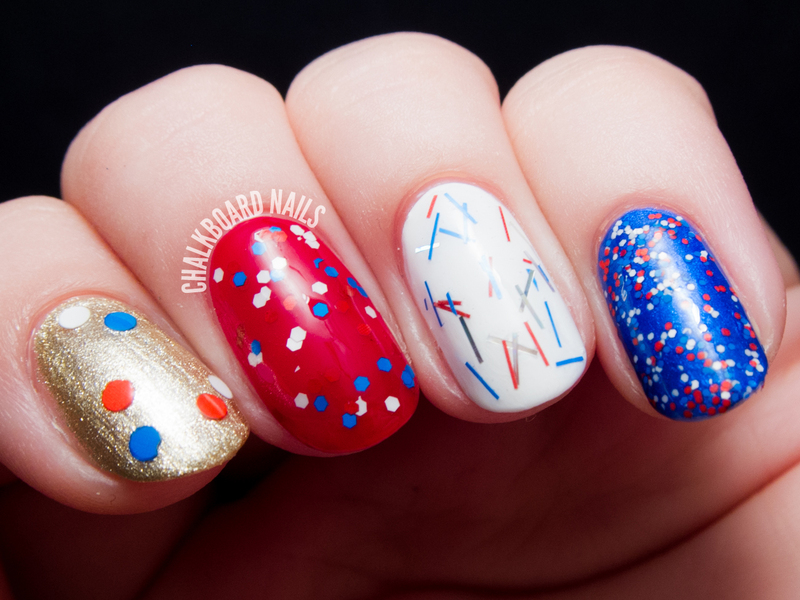 Patriotic polishes are fabulous! The round ones are so cute! I love those glitter toppers on top of black!